Genesis Servania of the Philippines will face Alexander Espinoza of Venezuela on September 11, 2016 at Sangyo Hall, Kanazawa Ishikawa, Japan. Servania who is currently residing and training in Japan has an undefeated record of 27 wins including 11 wins by way of KO. 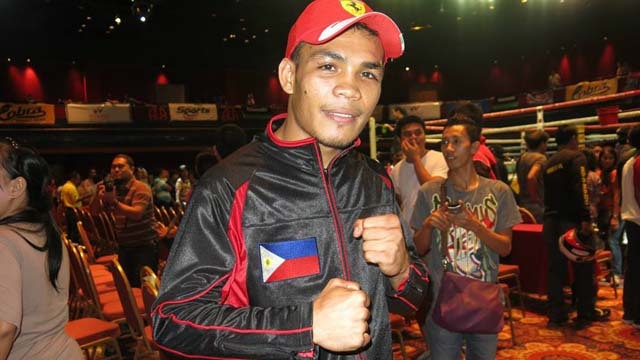 He is a 24 years old boxer from Bacolod City, Negros Occidental Philippines. Servania is a world title contender last year but due to his layoff Servania loses rank but he is currently active and wants to become a no. 1 contender again. Servania fought some great fighters including Alexander Munoz, Rafael Conception and Isaac Junior. In his last fight, Servania defeats Hedrik Barongsay of Indonesia via Unanimous Decision. Meanwhile, Alexander Espinoza is a Valenzuela boxer with the record of 11 wins including 10 wins by KO and has 7 defeats. Espinoza has a power in both hands and has a hard chin also. Espinoza losses in his last 2 fight against Jhonathan Romero and Liborio Solis.